This program will take you from beginner weight lifter and prepare you for advance weight training workouts in 12 weeks. 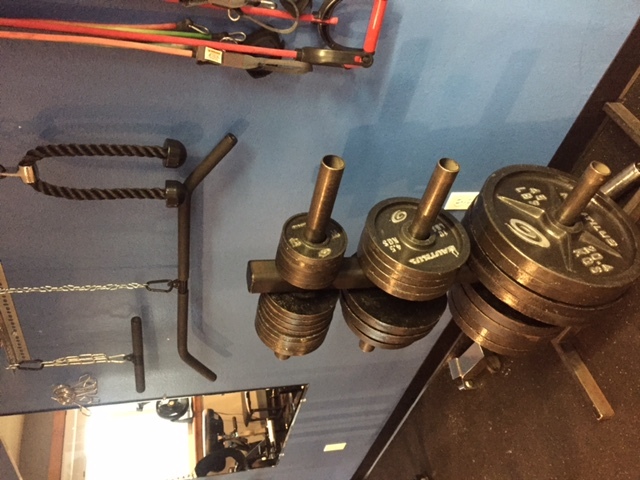 Have you just walked into your gym for the first time and felt overwhelmed and perhaps a little intimidated by what you found? Or, maybe you are an experienced weight-lifter and are returning from an extended layoff. Whatever your particular situation, this 12-week plan will help you progress up to the level of an advanced lifter. Understand that at the end of 12 weeks, you will not be ready to step into the gym with a competitive bodybuilder and keep pace with him/her. 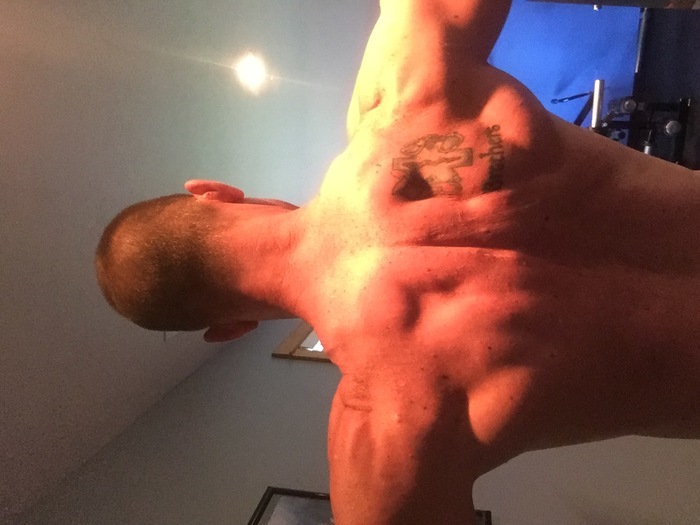 But you will have added mass and strength and you will be ready to start exploring some advanced training techniques such as pyramids, supersets, or tri-sets, which will enable you to gain more strength and pack on even more size. If you’ve already checked out my Super Crazy program, you have seen an example of some of these advanced techniques. 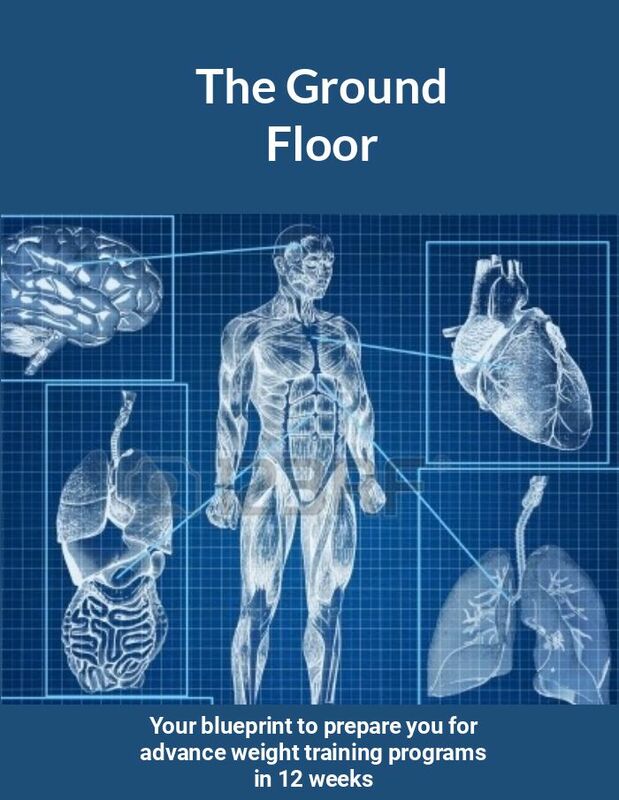 The Ground Floor is a program built on progression. You must have a strong foundation in the beginning and build upon that as you progress. Progression in your exercises, progression in your number of sets, the frequency of your exercise bouts, the amount of weight you use and progression in the way you split out the muscle groups you train each session. We will get into training splits more in a bit. So what is the best training split for someone just starting out, or someone returning after a long lay-off? To begin, what is known as a whole-body training split is utilized. 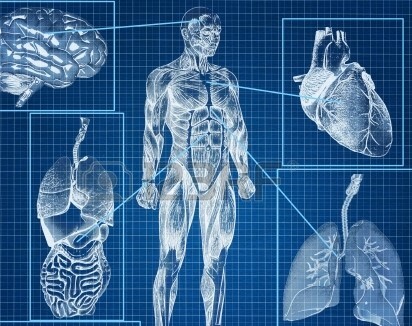 Over the following weeks, you will begin to split out which body parts you work over different days. The key is to use the proper split as you progress. And, as you continue advancing, you move to more advanced splits. As you probably gather from its name, a whole-body training split involves training your entire body in every workout. The major benefit of this split for beginners is that it allows you to train each muscle group more frequently each week. With a whole-body training split you can train each muscle group three times per week, such as Monday, Wednesday and Friday. This repetition is important for training your body’s nervous system. Before you can focus on building serious muscle, you first need to train your muscles how to contract properly. Your muscle fibers need to learn how to contract synchronously, so that you can perform the exercise correctly and apply the most strength when you do it. And the best way to learn how to do something is through repetition. So the first three weeks you will be following a whole-body training split done three times per week. An easy schedule would be to train Monday, Wednesday and Friday, but any three days of the week will do, as long as you allow one day of rest away from the weights between workouts. That’s because your body needs time to recover from the previous workout. And recovery is critical for making gains in muscle size and strength. Muscles don’t grow in the gym. They grow out of the gym. But that’s a topic for another time. The exercises you will be using are the tried and true mass builders that have been done for decades, if not centuries. These include exercises such as bench press, squat, and barbell curl. You will do one exercise per muscle group during this period. Any more than that and the workout becomes far too long and may be too much for your body at this point. Rep is the abbreviated term for repetition, which involves doing the exercise one time through its full range of motion. For example, when you lie down on the bench press and lower the bar to your chest and press it back up, that is one rep. In this step you will want to do 10-12 reps per set. That is a good range to learn the exercise, build muscles size and muscle strength for a beginner. One exception is calves and abs. On calves you are better off doing higher reps to stimulate more muscle growth in this stubborn muscle group. And when doing body weight ab exercises, such as crunches, you’ll want to do as many reps as you can per set until reaching muscle failure. Regardless of the exercise being performed, proper form is paramount. Concentrate on the target muscle group to develop the mind-muscle connection. Pay strict attention to form and range of motion. When your form begins to falter and you can’t complete a rep with full range of motion, you are finished with the set. The amount of weight you will use is determined by the rep range you are using. Since you will be doing 10-12 reps per set, you should choose a weight that prevents you from doing any more than 12 reps, but allows you to complete at least 10 reps. You should expect to get stronger over these three weeks, so once you can do more than 12 reps with the weight you are using it’s time to increase the weight by 5 or 10 pounds. A set is the term that refers to doing all reps for an exercise. That is, when you pick up the bar and perform as many repetitions as you can before putting the bar down. That completes one set. Typically you do several sets per exercise, with rest taken between those sets. During this period you will do three sets per exercise, which is just enough repetition to learn the exercise, yet not too much to make the workout last too long. During this phase you will rest about 2-3 minutes between sets. The goal is to allow enough rest to allow you to stick fairly close to the rep range using the same weight on all three sets. This will help you gain more size and strength. The exception here is claves and abs which tend to recover faster between sets. For these exercises rest 1-2 minutes between sets. Do this workout three times per week with at least one full day of rest between workouts (i.e Monday, Wednesday and Friday). After three weeks of performing the Whole-Body split three times per week, you are ready to progress to Step 2. A new step equals a new challenge. For the next three weeks you will begin performing a Two-day training split. You will perform this workout twice a week for a total of 4 workouts per week. A Two-day training split means that you will split up your entire body into two separate workouts, training half the body in one workout and the other half in the second workout. In this particular two-day training split you will train all your torso muscle groups (chest, back, shoulders and abs) in workout 1 and all your limb muscles (biceps, triceps, legs and calves) in workout 2. The benefit of moving up to a Two-day training split is that it allows you to do more exercises per muscle group and it allows you to train each muscle group with more intensity. Those are two critical components to making continued progress in the gym. To keep growing bigger and stronger, muscles need to gradually do more work. You also need to train them with more intensity. Training fewer muscle groups per workout allows you to put more effort into the muscle groups you are training, by going heavier and really making sure that you take each set to muscle failure. The exercises you will be using will be the major mass builders you started in Step 1, along with an added exercise or two (for legs) for that same muscle group. For most muscle groups this will allow you to do one multijoint mass builder and one single joint or isolation exercise to build both overall size and shape to each muscle group. You will also add an exercise to work a new muscle group in this step, the trapezius (aka Traps). You will still be doing 3 sets per exercise. However, since you are now doing two (or three for legs) exercises per muscle group, that’s a jump in total sets from 3 sets per muscle group, to 6 sets (or 9 sets for legs) per muscle group. This increase in the amount of work you do for each muscle group is important for continued progress. You will keep the reps at 10-12. For calves, you will increase the reps to 15-20. You will continue performing 10-12 reps per set. 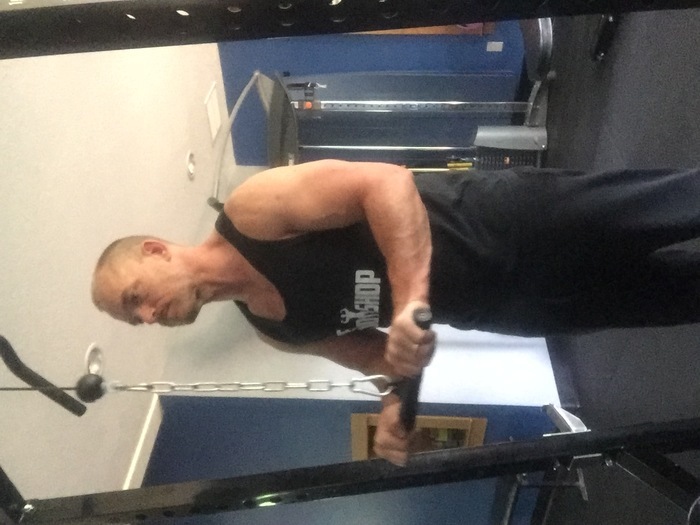 Again, once you can do more than the rep range listed for each exercise add 5-10 pounds, or whatever weight brings your reps into the listed rep range. During this phase you will also rest about 2-3 minutes between sets to allow you to stick with heavier weight and complete more reps for maximizing strength and size gains. After 6 weeks of consistent training you’re nervous system should have adapted and your muscles are getting properly trained through ongoing repetition. You should also be more comfortable with your form on the exercises that you have been performing. In weeks seven to nine, it’s time to “step” up the amount of work you’re doing for each muscle group and the intensity. Remember, the goal here is to keep progressing and the only way to do that is to keep raising the bar with more work and higher intensity. Step 3 progresses you to a Three-Day Training Split. So instead of dividing the body up into two different workouts, you will now be dividing it up into three different workouts. This means that you will train fewer muscle groups each workout, which allows you to do more exercises per muscle group and train each muscle group with even greater intensity. The exercises you use in this step are the ones you have been using in the previous steps with again another additional exercise added to most muscle groups. Again, the idea here is to increase the amount of work you do for each muscle group. Although you could increase the amount of work for each muscle group simply by doing more sets per exercise, you are better off adding more exercises. That’s because different exercises target different areas of the muscles. To build well-developed muscles that are balanced and have good shape, you need to target different areas of the muscle. You will also add an exercise for a new muscle group to target – the forearms. This aspect remains constant at 3 sets per exercise. However, since you are now adding another exercise for most muscle groups, you will be doing an extra 3 sets per muscle group which further increases the intensity or your workout. In this step, you will continue with the rep prescription of 10-12 per set. Except to abs and calves which remain at the higher rep range. As you have been doing in steps 1 and 2, choose the proper weight that allows you to hit the listed rep range for each exercise. And continue to add weight as you can compete more reps than the listed rep range. 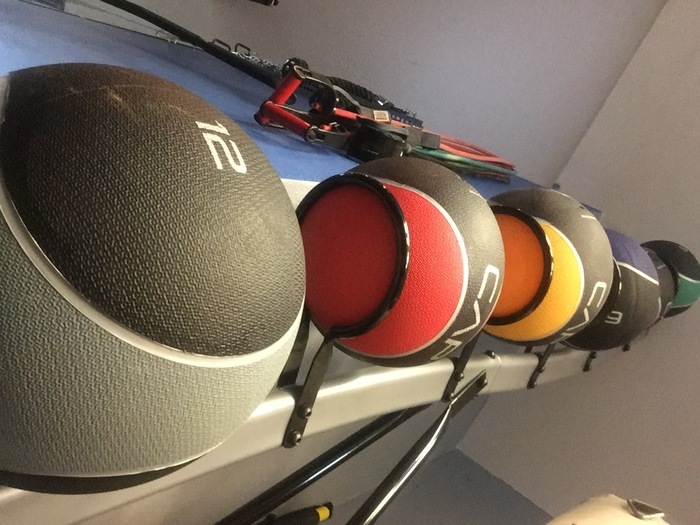 You will now drop rest periods between sets down to just one minute. Shortening your rest periods will further increase your intensity. Doing the prescribed reps with shorter rest periods will help to maximize growth hormone levels, which will lead to further gains in muscle size and strength, as well an encourage fat loss for greater definition. 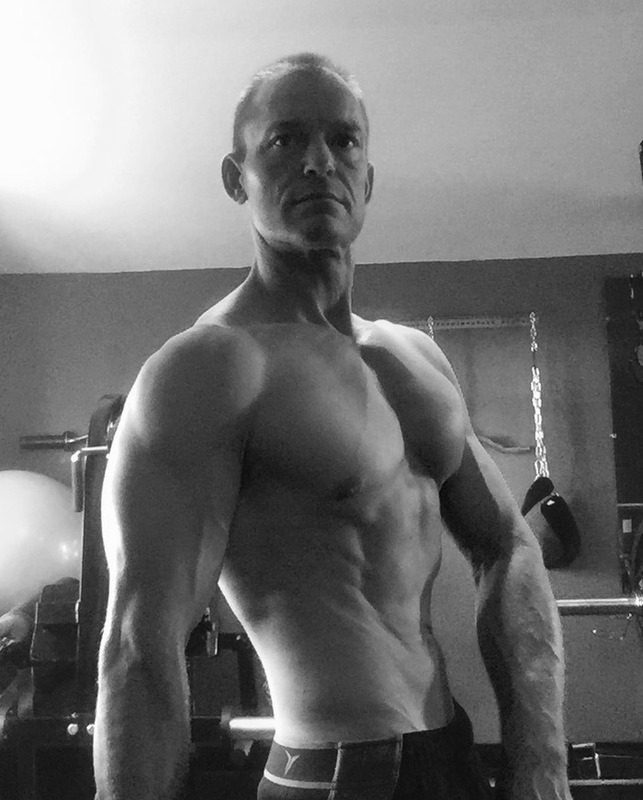 After 9 weeks of consistent training with gradual progression in your exercises, total sets, weight and your training split, you are in the home stretch to becoming an advanced bodybuilder, or at least your ability to train like one. By now you should be realizing incredible gains in your muscle strength, as well as your muscle mass and muscle definition. Now you will be training your entire body over the course of four workouts. This will help you to further increase the amount of work you can do for each muscle group and the intensity you can put into training each muscle group. This four-day training split will split up your body into a chest, triceps and abs workout, back, biceps and forearms workout, legs and calves workout, and shoulders, traps and abs workout. Yes, you will be training abs twice per week now. Since the abs are postural muscles that help with maintaining your upright posture all day, they can withstand more frequent training and respond well to it. 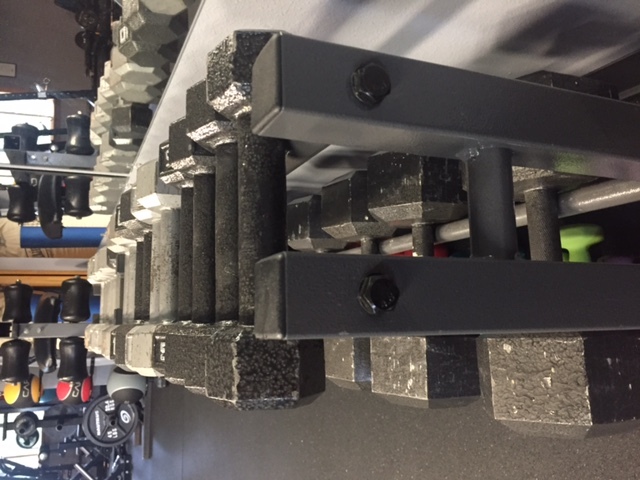 Once you’ve completed this final phase, you will be ready to take on advanced high intensity training techniques such as – supersets, drop sets, rest-pause, and extended sets. The exercises you use in step 4 are again the ones you have been using in the previous steps with yet again another additional exercise added to most muscle groups. Triceps and biceps will not need an additional exercise added. These smaller muscle groups generally require less total work than the larger muscle groups like chest, back, shoulders and legs. 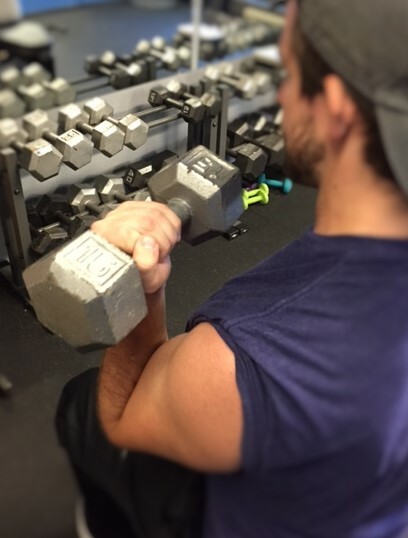 The progress in the biceps and triceps will come from the weight and rep ranges used. You will still be doing 3 sets per exercise. However, since you are now adding yet another exercise for most many groups, you will be doing an extra 3 sets for these muscle group. In this step, you will continue with the same rep prescription. As you have been doing in the previous 3 steps, choose the proper weight for each exercise that allows you to hit the listed rep range. Continue to increase the weight as you can compete more reps than the listed rep range. You will continue with rest periods of just one minute as in step 3. Do each workout below once per week, such as Workout 1 on Monday, Workout 2 on Tuesday, Workout 3 on Thursday and Workout 4 on Friday. You have successfully progressed from a beginning level to an advanced level of bodybuilding. There are a limitless variety of splits that you can use as a bodybuilder. Some splits are more effective than others. The key is combining muscle groups that provide for creating the required intensity and muscle mass recruitment to elicit the desired hormonal response to build mass.